Cass Clereaux likes her job. It's simple - steal the magic, don't get killed. FireSouls like her are perfect for magic treasure hunting. 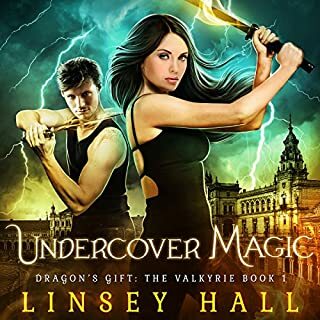 Their dragon soul helps them find treasure, their wicked powers help them steal it. But there's a big freaking downside - FireSouls are hunted. If either of the magical governments figures out what she is, she can kiss her life goodbye. When the Alpha Council comes to her with a special job, it's a no-brainer to turn it down, no matter how much money they're offering. Shifters who can sniff out her weird magic are the last supernaturals she needs to be around. Worse? They have a history of hunting FireSouls. But when Cass learns that a little girl's life is at stake and Cass is her last hope, she doesn't have a choice. With her sisters and the powerful Shifter Aidan Merrick at her back, she's got a chance at saving the girl and keeping her deadly secret - until she learns there's far more to this kidnapping than meets the eye. this is the second in the Huntress series. I received the audio book from the narrator for a honest review. The story line is great. Cass and her "sisters" are fire souls that is hated by others because of their ability to take another's magic. They have to be careful who they tell. Keeping it a secret is getting hard. In this story she is called upon to help the shifters find a missing child and the object she takes care of. They get the child back but the object is still missing. Also the person who took the object seems to know who Cass is. She and her "sisters" can't remember anything before they were 15/ Who are they? Where did they come from? Will the secret be told? A kick as* girl with both magic and the ability to take magic from this she kills. AMAZING STORY IF I COULD IT WOULD BE 10 STARS. I received this book free in return for a unbiased review. A series well worth following! 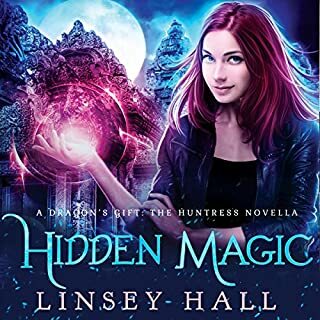 Great Addition To A Fun Magical Series! I really enjoy this series! This is a fun filled adventure with a touch of romance!!! I can hardly wait for book 3!!! Cass and Aidan are spending more and more time together, and she is learning to control her magic. The Alpha council wants her to track something valuable. At first she turns them down but when she finds out a girl's life is at stake, she has no choice but to take a risk and help them. The narrator does a great job bringing the story to life. It does not end in bad cliffhanger but we know the story is not complete since the evil guy that has been hunting them is still at large. It's a series full of danger, suspense, action, magic, drama, and a sweet romance to seal the deal! I received this audiobook for free for my honest review. Second novels in a series are usually problematic. Not Mirror Mage! I already shared how much I enjoyed Ancient Magic, and now I've had the chance to devour the next book too! What a great reading month it has been! The story line gets more complex; the situation far more dangerous. Cass is a badass, and so are her friends and sisters and oh let's not forget the hottie Scot that has decided to be her protector! In Mirror Mage, Cass gets herself into some situations where her secrets are exposed, and her future is uncertain. But she goes into these situations willingly, to protect a young girl - because she is that honorable and brave. She won't let someone else suffer if she can do something about it. But we also see the burden of Cass using her magic start to emerge as the fire inside her starts to take control. This can get very dangerous for her very quickly, as people who are protecting and keeping her secret may find out. Especially since we started seeing the threads of other key players starting to believe FireSouls may not be inherently evil. But what I loved most is the dedication and camaraderie between Cass and her sisters, as well as their two best friends and Aidan. These friends have her back, and will not turn away just because they find out who she is. Everyone should have friends like this! This book is also a fun trip through ancient ruins and has more of that Indiana Jones and Lara Croft Tomb Raider feel that I loved from the first book. It helps that the author herself is an archeologist and that passion goes into her books. The audio narration was also very enjoyable and pleasant. I'm definitely a fan of this series, and will be adding the rest of the author's books to my wishlist. 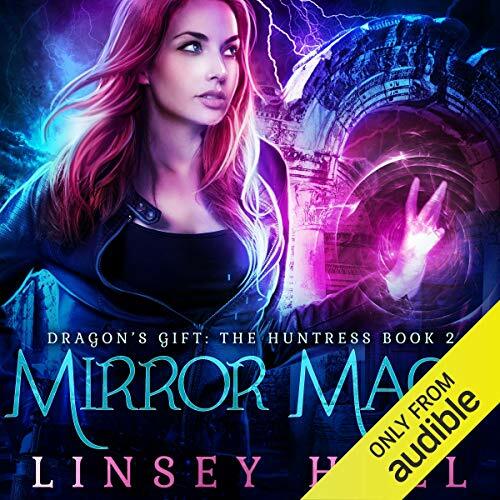 I just finished listening to "Mirror Mage" and immediately downloaded the 3rd book in the series. 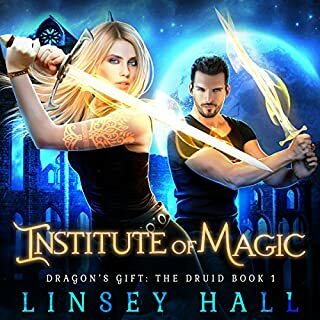 I'm hooked on following the story of Cass, Aiden, and Cass's deirfiúr and friends on their archaeological adventures and their struggle to learn about their hidden past. The series is fun, compelling, and just dark enough to keep it from being too sweet. I look forward to listening to the rest of the books! I liked the book a lot and the narration was good as well. I'm finding I quite like Laurel Schroeder's voices. I really like how sweet the romance between Cass and Aidan, and I felt like the conclusion to the book was really satisfying. I'm ready ton start the next book. The only thing that bugged me about the book was a particular part where Cass decided to sacrifice herself for the good of a little girl, and I was like, is there seriously no one else who could take her place? No one? This is the second book of this series. it did not disappoint me at all. I found it just as enjoyable as the first book. this book was well written and good paced. the narrator did an mazing job in this book! 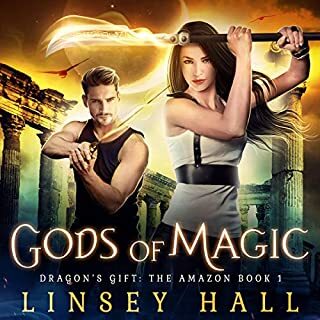 I was gratefully provided this audiobook at no charge by the author, publisher and/or narrator for an unbiased review via Audio Boom..
A wonderful romp of adventure and romance. I am grinning from the little things, like our main character's favorite beer is PBR, and we all know it tastes like dishwater 😜. Then there is the way, simultaneously, she wants and doesn't want the man of her dreams. This is something some women may understand while we men often flounder in this treacherous sea. You have a good series evolving here.😀👍I will be looking forward to book 3. Story picked up where the first book ended. Lots of magic flying around and secrets being uncovered. 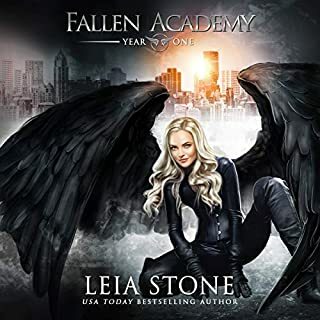 "This audiobook was provided by the author/narrator/publisher free of charge in exchange for an unbiased review via Audiobook Boom"
Such an improvement over the disappointing start to the series. If it weren't set mostly in Scotland I'd have given it all the stars but, sadly, the narrattor's attempt at the accents leavees a lot to be desired, which is a bit of a distraction when listening to the story. Thankfully the story is good, because the really bad accents by the narrator are making me want to scream!